Online communities provide a forum for individuals who have similar interests and needs to interact with one another -- sharing advice, best practices, tips and more. At ProQuest, we offer several communities developed with our customers’ needs in mind, to help you locate, collaborate, and engage with fellow researchers and librarians. 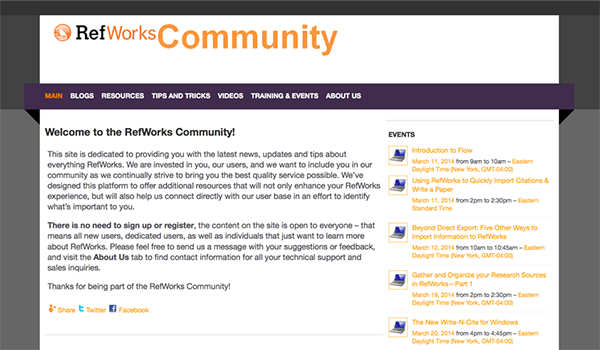 This site is dedicated to providing you with the latest news, updates and tips about everything RefWorks. Stay connected with ProQuest. 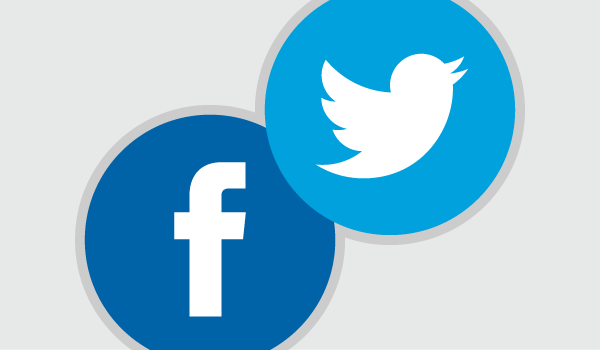 You can find us on on Facebook, Twitter, LinkedIn, Pinterest, and YouTube.